Foodbeast heads to Muncheese Burger in Torrance, CA to learn how to fashion buns out of noodles and cheese from chef Corey Davidson. 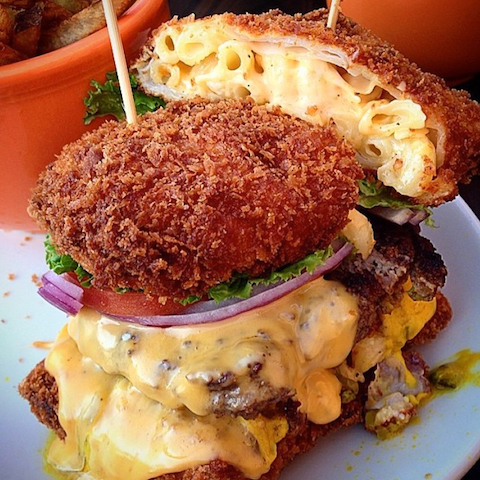 It’s no secret that deep frying mac and cheese, then using it to encase a burger patty, is delicious. The good people at Foodbeast headed to Muncheese Burger in Torrance, CA to learn how to make mac and cheese buns from chef Corey Davidson. It’s easier than you’d think—especially if you have a deep frier at home (if you’re reading this website, we’re assuming you do), or a high-sided pan and some frying oil. Let’s break down the instructions for you: Make mac and cheese, let it cool in the fridge, form the mac into balls, dunk those mac balls into the egg mixture, bread the balls with Panko, press into a patty, and fry until golden brown. It ain’t rocket science, but it’s pretty damn magnificent. 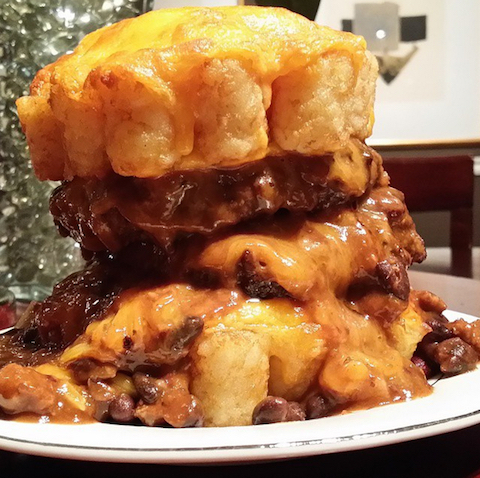 We want an instructional video for this cheese-and-tater-tot bun next.